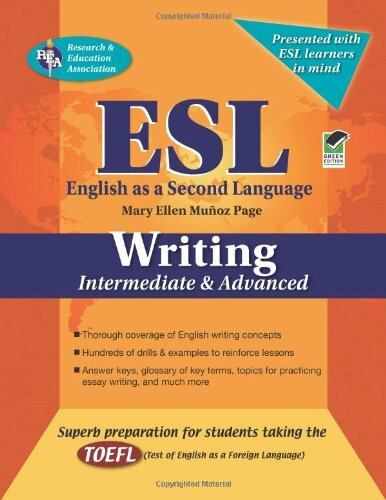 Master ESL (English as a Second Language) Writing with the study guide designed for non-native speakers of English. Skill-building lessons relevant to today's topics help ESL students write complete sentences, paragraphs, and even multi-paragraph essays. It's perfect for classroom use or self-guided writing preparation. If you have any questions about this product by Brand: Research n Education Association, contact us by completing and submitting the form below. If you are looking for a specif part number, please include it with your message.